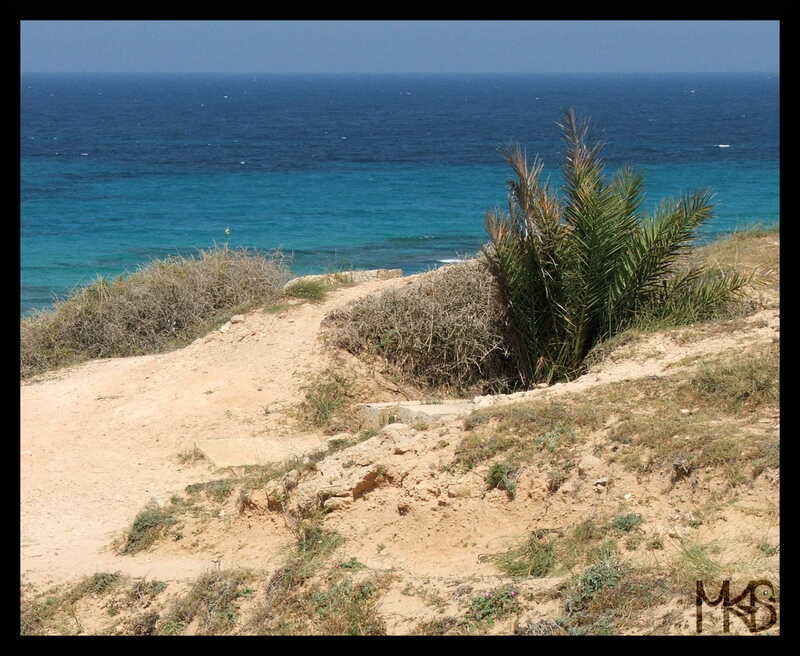 Today, I’m showing you the last picture from Libya, how I’ve seen this country in 2004. Currently, the flag of Libya consists on 3 horizontal bands, red, black and green. 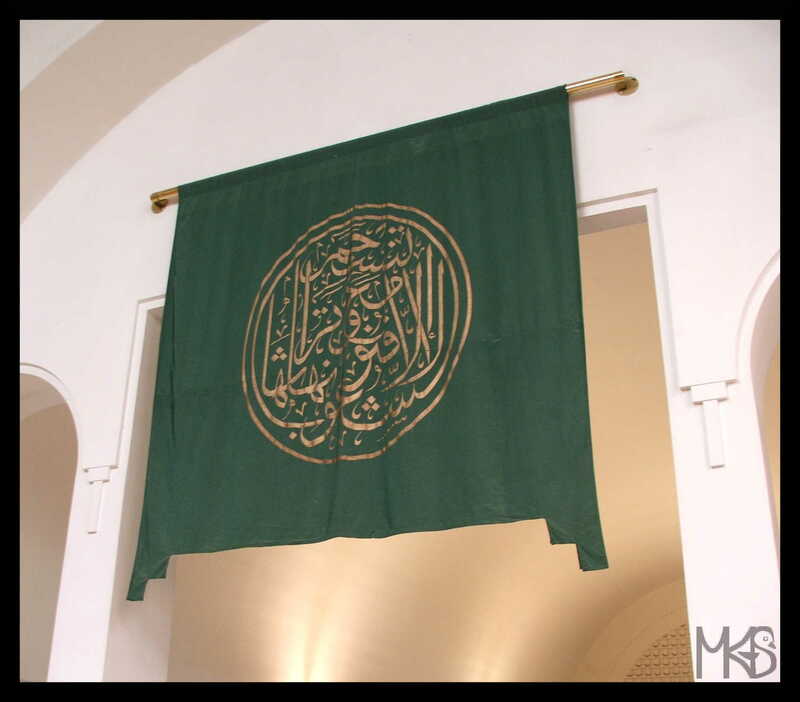 Before the War, during the Gaddafi’s leadership, the Libyan flag was just green; one-coloured flag. 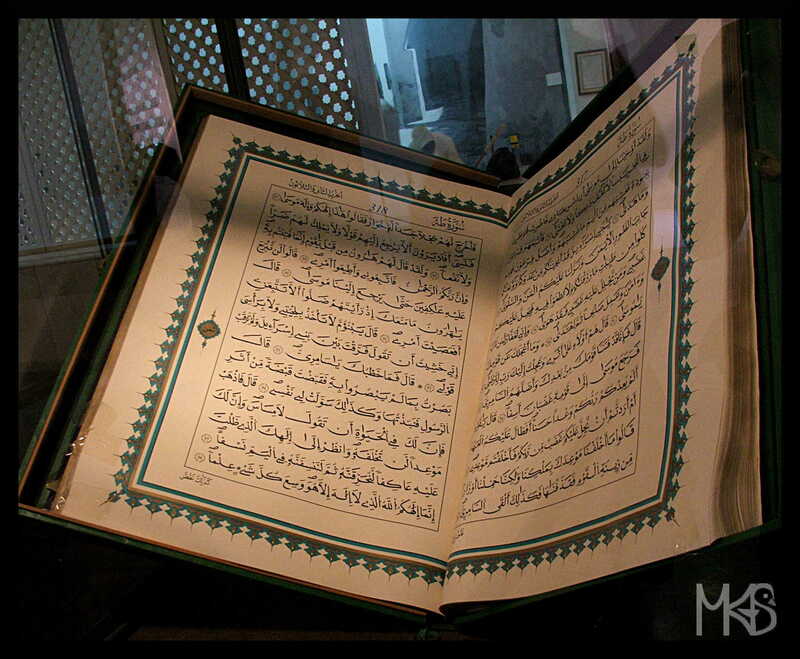 Muammar Gaddafi wrote “The Green Book” in which he presented his political philosophy. The book was inspired by The Little Red Book of Mao Tse-tung. I was in Libya in 2004, and that time, you could buy Green Book everywhere; moreover, it was very likely to find the book translated into your own language! People were buying it as souvenir. 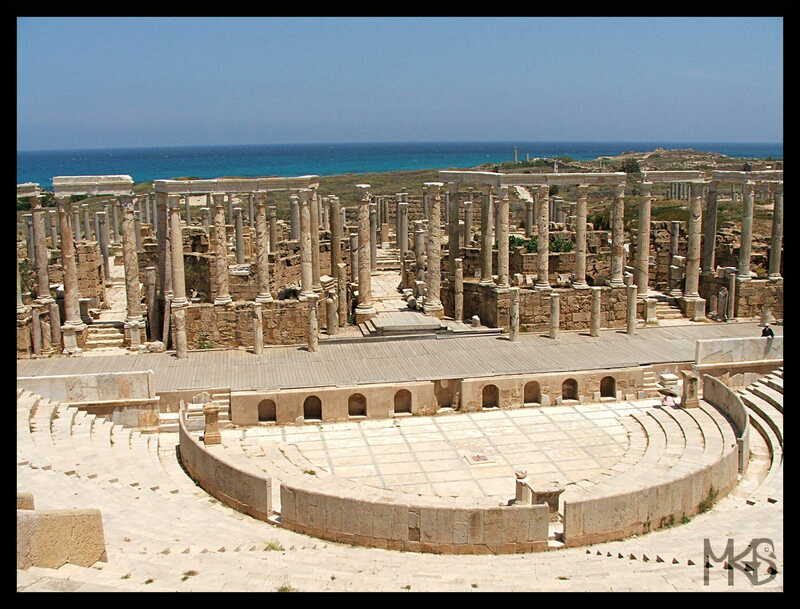 At the end of this month, I want to share with you a few historical facts from the recent history of Libya. Muammar Gaddafi (Moammar Gadhafi) was a leader of Libya from the Libyan Cultural Revolution in 1973 until 2011, when he was killed in the War. Gaddafi changed Libya a lot, transformed Libya into a socialist state; a “green” country where green flags and portraits of Gaddafi were everywhere in Libya. Gaddafi was seen as a dictator who violated human rights. You can read more about Muammar Gaddafi on BBC. After being the kingdom, the name of Libya changed to the Libyan Arab Republic (1969), then Socialist People’s Libyan Arab Jamahiriya, and later Great Socialist People’s Libyan Arab Jamahiriya. 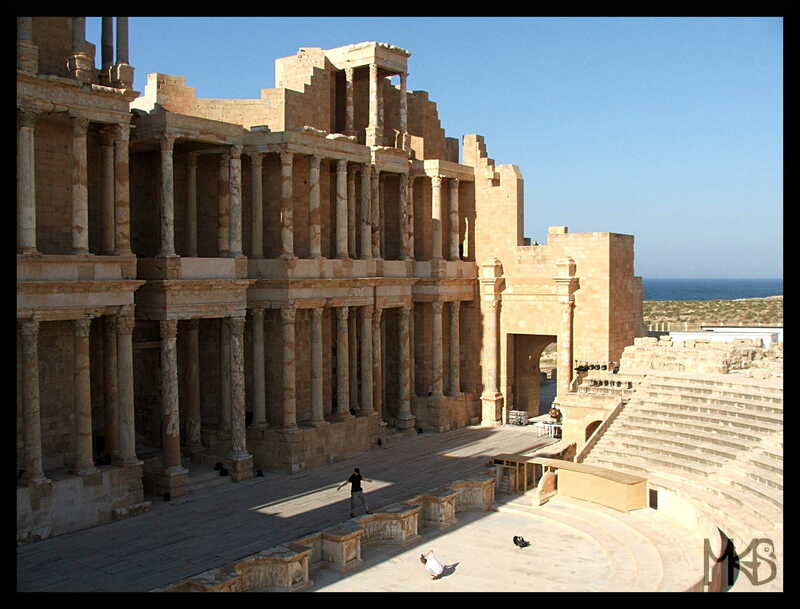 Currently, the official name of the country is the State of Libya. Libya used to be a kingdom. In 1951, Libya became independent as a kingdom. 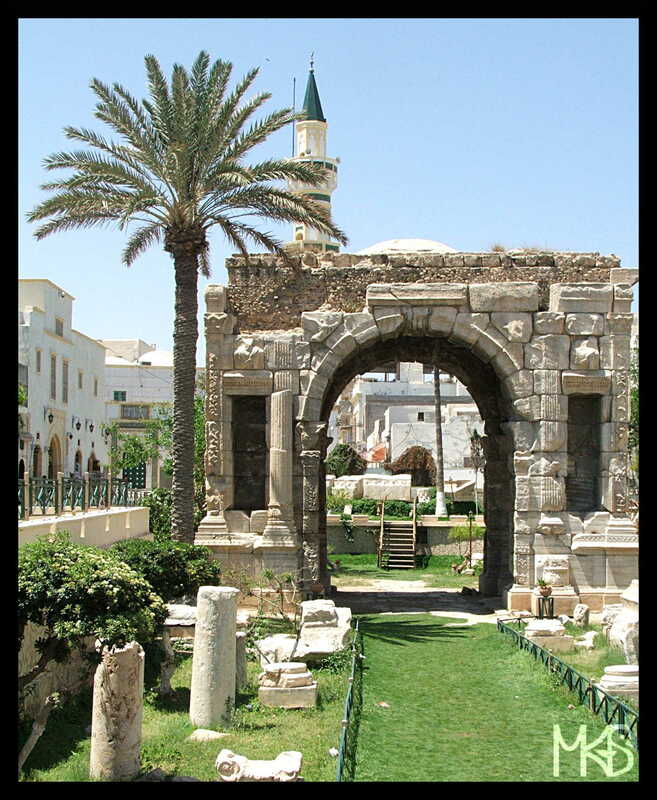 The country was called as the United Libyan Kingdom, and later changed into the Kingdom of Libya. Traveling by train in Libya? No, not yet; apparently there plans to build a train network in Libia. Ghadamis (Ghadames) is another interesting place in Libya. It’s an oasis town. It’s old part is on the UNESCO World Heritage List. p.s. 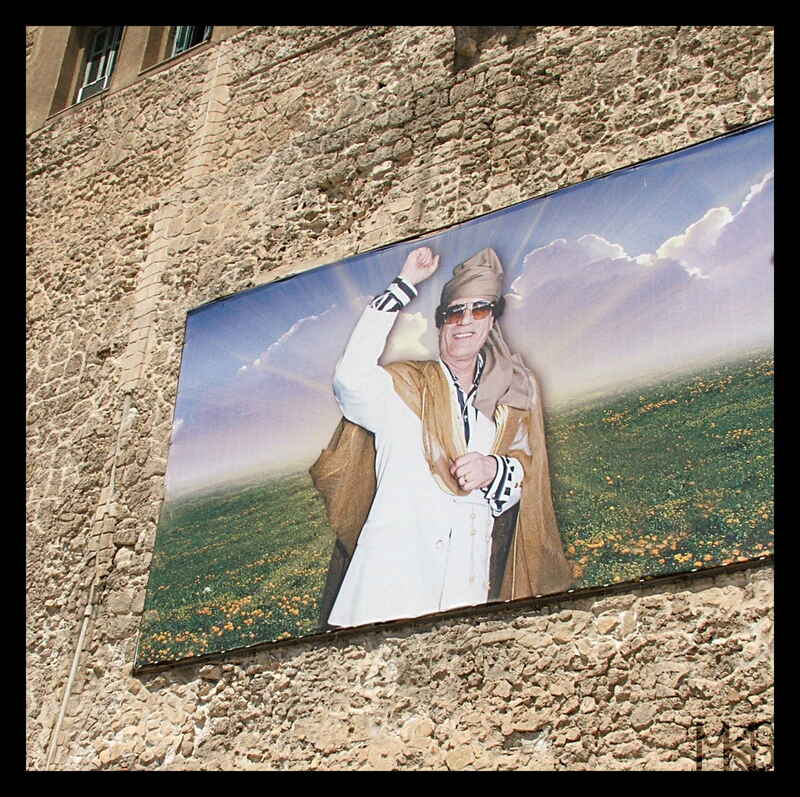 This picture was taken in Tripoli. 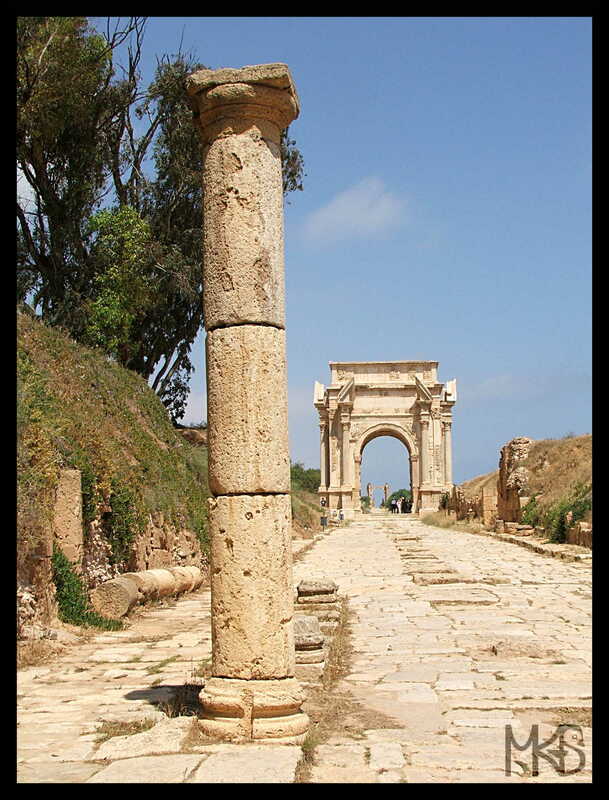 Cyrene was an ancient Greek city (later Roman), currently located nearby city Shahhat. 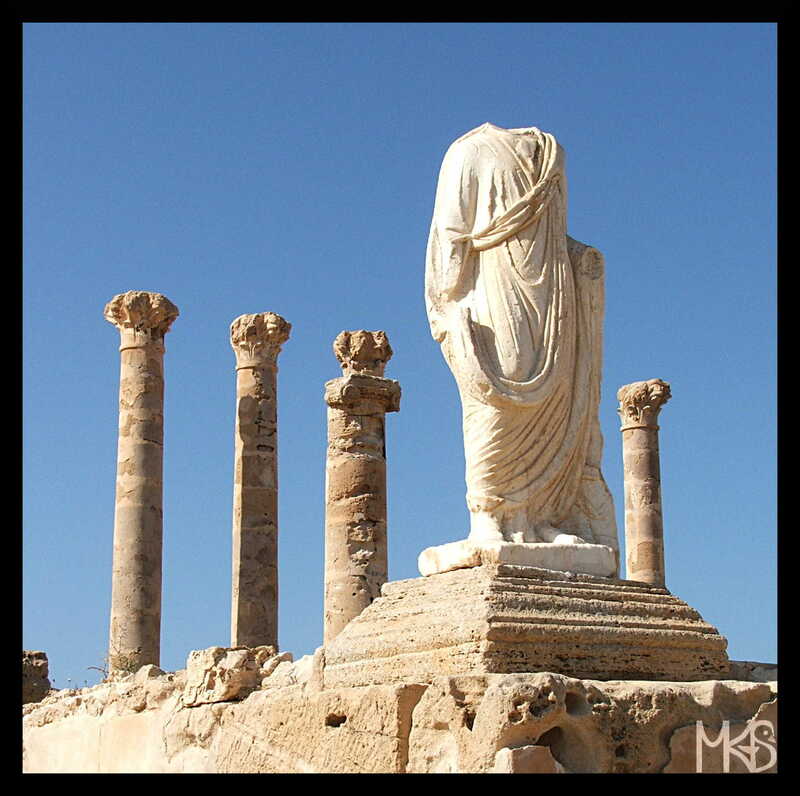 Cyrene is also a UNESCO World Heritage Site. p.s. 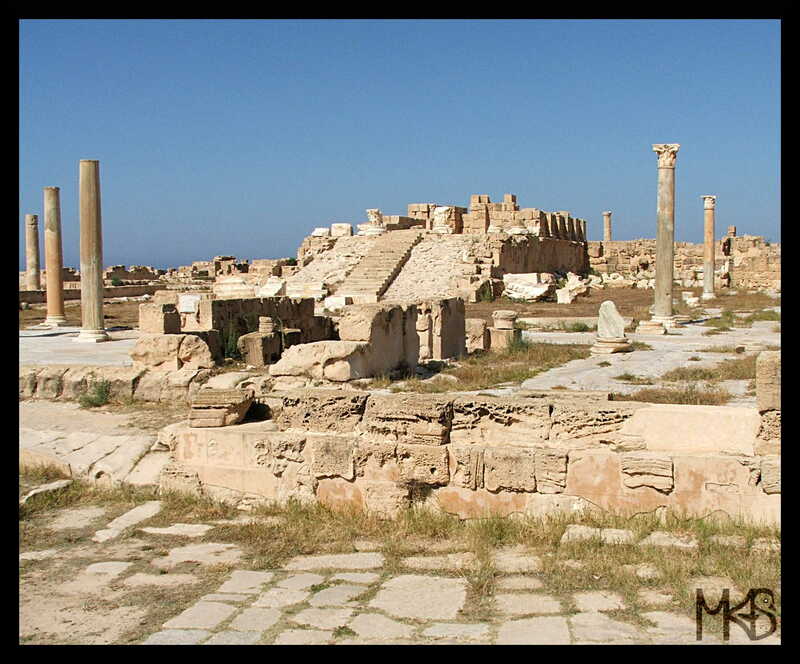 The pictures shows other ancient site – Sabratha.